The high desert around Reno, Nevada, is at once beautiful, bleak, inviting, terrifying, and inspiring. 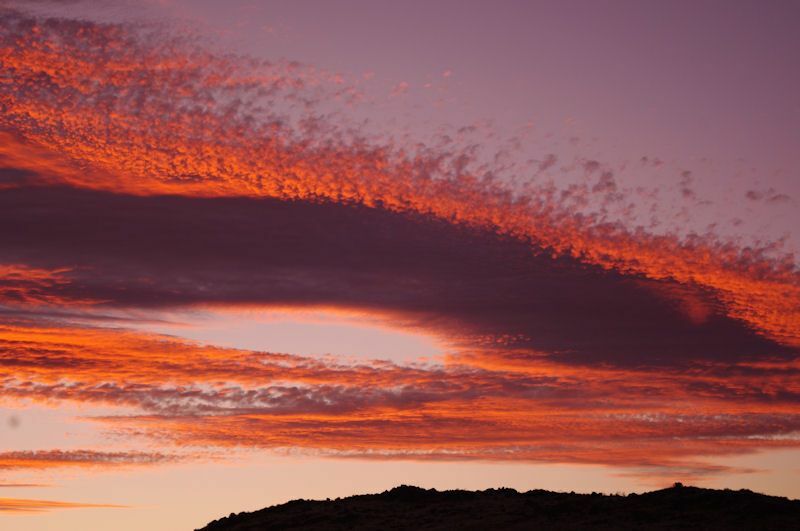 It’s a place of austere beauty when the sun rises over the Virginia Range or sinks behind the Sierras, angling its light like a net to catch the finely nuanced and shifting hues. When the sun glares straight down and even the shadows huddle close to the base of things, the wild open spaces can be forbidding, and dangerous. 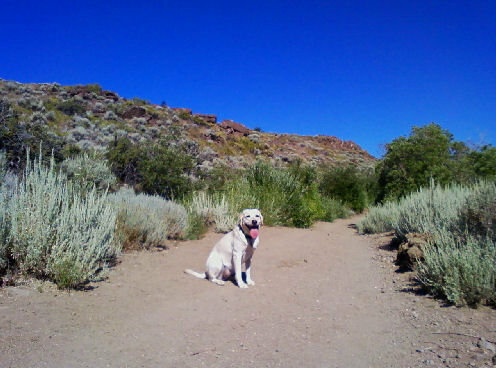 We lived in Reno for a year and a bit and I walked or hiked alone or with my Labrador Retriever, Lily, once or twice a day. 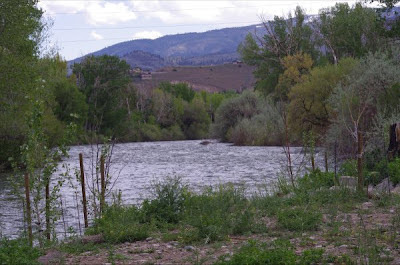 If I felt like driving I often headed off into the canyons north or east of town, or followed the path from downtown Reno west along the Truckee River. It’s hard to pick a favorite place, but near the top of my list is Hidden Valley, mostly because of the mustangs I saw nearly every time I went. They deserve at least one blog of their own. Sometimes I just walked out the door and climbed the hill on which we lived, making a 462-foot elevation gain by the time we reached the top. Okay, not exactly Everest, but a pretty decent slope all the same. I especially liked the climb in the evening, just before dusk. If I timed it right I could watch the sunset and then, in the sudden cool of falling night, the coyotes could sing me back down the mountain. More than one person asked me if I wasn’t frightened to go out alone, even with Lily along. Most often the question was "what if you run into a snake?" Oddly enough, people asked me the same question years ago when I walked regularly in a wetlands area in southern Indiana with another Labrador Retriever. Maybe ophidiophobia also deserves a blog of its own! Fact is, in fifteen months of hiking in Nevada, I saw exactly three snakes in the wild. One was a gopher snake at the top of "my" mountain," and the others were a pair of some sort of garter-y snakes that my husband Roger spotted at the Swan Lake wetlands. There are Great Basin rattlesnakes around Reno, but they don’t exactly hang out waiting for people to stumble over them. My bigger fear was of falling. I’m not fond of heights, and on occasion I found myself frozen on a narrow trail, heart whimpering and face breaking out in cold sweat. Twice I got down and crawled my way to a more comfortable stretch of land, hoping no one saw me. I pushed past my limits a few times – the old "face the thing you fear" mantra running through my screaming brain – but mostly stuck to paths I could negotiate with a minimum of terror. And as I hiked the canyons and hills, I realized that there were lots of good places to hide bodies. When we moved to Reno, I had just begun working on the plot for a thriller that I thought would be set in northern New Mexico. Then I saw the Nevada desert, and moved the setting. It’s the perfect place in many ways for Rattlesnake Mountain, which is creeping along as I wrap up my second (very different) mystery, The Money Bird. As I got into the plot for Rattlesnake Mountain, I started asking people if they knew a good place to hide the body – always an interesting conversation starter. I was surprised to find that most people hadn’t really thought about it, but then they didn’t write crime fiction! Then I met Tee Iseminger. Tee is a writer and runner, and has lived in Reno for a while and knows the extended area well. She asked me what kind of place I needed. I described what I had in mind. "Six Mile Canyon," she said, and off we went a few days later. She was right. 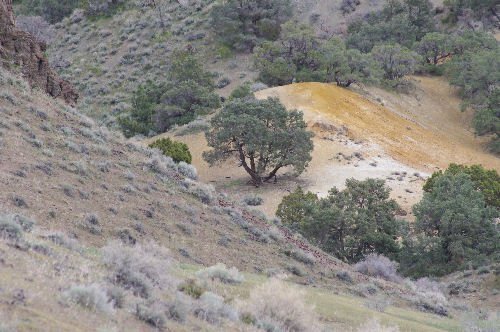 This sage-strewn canyon outside Virginia City was perfect, and we picked the perfect time to be there. The place was blanketed with flowers, the Western meadowlarks were singing, and I had my setting. We even spotted two of my characters walking around Virginia City! Just before we left Reno to move back to the East Coast I heard a news story that, sadly, confirmed my choice. A woman’s body had been found in another canyon a mile or so from my setting. I wasn’t happy to hear that, but at least I knew my idea worked. Life imitating art imitating life. Sheila Webster Boneham writes all sorts of things – literary and commercial nonfiction and fiction, poetry, and other stuff. She also teaches writing classes and workshops, paints, takes photos, plays with dogs, and walks in wild places. Learn more at http://www.sheilaboneham.com or on Facebook at http://www.facebook.com/sheilawrites . Funny it is something I'm always thinking of - being a writer and a bit of a forensics geek I guess! Great post Sheila.